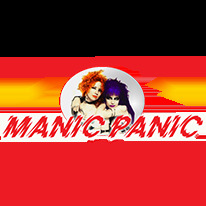 Whether you're prepping your hair for a big colour change or just wanting to see if blondes have more fun, you're sure to love the Manic Panic 40 Vol. 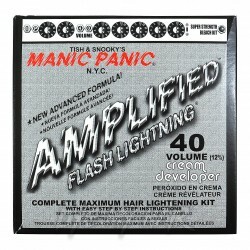 Amplified Flash Lightning Kit! Get a blue as deep as the night with the La Riche Directions Semi-Permanent Hair Dye in Midnight Blue! Make yourself really stand out in the crowd with the La Riche Directions Semi-Permanent Hair Dye in Tangerine. It'll give you a vivid hair colour that's hard to argue with! 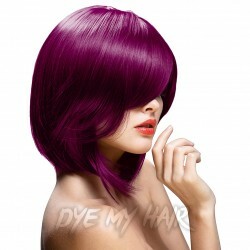 Give your look a bit of oomph with the La Riche Directions Semi-Permanent Hair Dye 4 Pack in Plum Purple! Make your friends green with envy with the La Riche Directions Semi-Permanent Hair Dye in Alpine Green! The perfect way to attract plenty of attention! If you're searching for a hot, hot, HOT new shade of hair colour, then we think you'll love the Crazy Color Semi-Permanent Hair Dye in Orange! Get yourself a hair colour that's downright blue-tiful! The La Riche Directions Semi-Permanent Hair Dye in Atlantic Blue is easy to love! 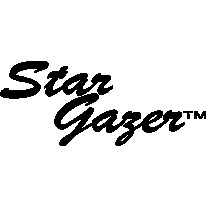 Lighten your locks in an instant with the Stargazer 30 Vol. 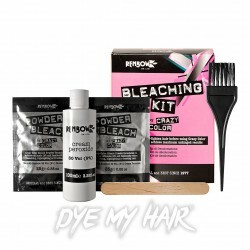 Bleach & Peroxide Kit, the ideal way to transform your style! Hair color should be bold, bright and beautiful. Here at Dye My Hair, we are dedicated to unlocking a huge palette of hair dye options for our customers. If you’re looking for quick hair color transformation; then we want to be your one-stop-shop! We not only want your end hair color result to be out-of-this-world amazing, but we want to make sure the buying and dyeing process itself is fun, safe, speedy and simple! Therefore, we want to make sure we’re there every step of the way as you begin to dye your hair! We want to be part of that moment of discovering a new hair color all the way through to get that gorgeous new hair dye color onto your head! We’ve made sure that our website is packed high with a rainbow range of options to ensure that your new color possibilities are well and truly endless. Think you will only find hair dye on our site? Think again! 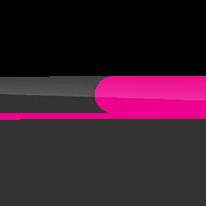 We go beyond the hair dye products to provide you with accessories, aftercare products, guides, blog posts and hair dye talk just waiting to be discovered. 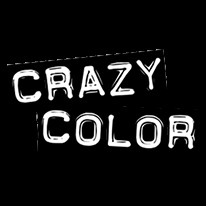 With all this in mind, let’s start your bright hair dye journey into a new exciting realm of truly awesome hair color. The question is - which new hair dye do you want to try out first? Let us introduce you to our colours! When browsing our hair color collection, we’re sure you’ll be impressed with the full spectrum of colors on offer. The key aspect when it comes to our colors of hair dye is that they are certain to be show-stoppers! We can think of nothing better than indulging in delectable shades of hair dye. Wondering which colors we have available? Here are just some the colors we have on our hair dye colors chart. For huge hair color transformations, we can always recommend checking out subtler shades of black and even white hair dye. For those in need of a natural color hair dye, we also dabble in shades of blonde, light brown and brown hair dye. Ideal if you want to enhance your natural color or add some rich undertones to a color you feel needs topping up. The sheer amount of colors available means that you can really narrow down to one of our more precise hair dye shades. For example, purple doesn’t just mean purple! There are lilacs and lavenders if you prefer to try out a pastel palette or magnificent violets and magentas for a burst of shocking color. It’s the same with our orange semi-permanent hair dye where you can choose everything from tangerine and neon colors to sharp copper and auburn hair colors. When it comes to our bright colors, there are just too many to mention! For a full taste of the colors make sure to check all the different shades of temporary hair dye available – who knows what shade you might find? Let’s not forget about our slick UV hair dyes which are guaranteed to make you stand out from the crowd! Get a glowing set of locks in the blink of an eye with some electric colors, designed to make heads turn wherever you go. UV reactive hair dye is sure to have your hair glowing bright fluorescent shades, perfect for festivals and parties. Our speciality is certainly in providing customers with quick and easy temporary hair color! We mainly stock semi-permanent hair dyes where color can last for up to 6 weeks. These dyes are simple to use and when applied correctly, will allow customers to sport beautiful new colors. These temporary hair dyes are less damaging to your roots than permanent hair dye options, meaning a gentler experience for your hair with the same bold colors you love. A number of our brands provide PPD free hair dyes which are free from chemicals like ammonia and peroxide; meaning that coloring the hair can be less of an arduous process on your hair follicles. After all, it isn’t just about great color, keeping your hair healthy and voluptuous will allow for a fuller and more vibrant finish. Make sure to look after your hair during every stage of the dyeing journey – we know you’ll love the results! As well as the dyes themselves, we have plenty of hair care products at the ready to add a dash of color, or help you on your way to a brand new head of hair colour. Products such as hair gels and hair chalks are hugely popular as they provide quick hair color which can be washed out after one use. The ultimate party accessory, these colour solutions are especially popular for raves and discos. It also looks like festival fashion is set to continue with wonderful wacky hairdos which is why coloured hair gel is sure to come in handy because you can style and shape while you color. Everyone loves an indulgent trip to the local hair care parlour or beauty salon. However, if this isn’t always an option for you, then dyeing hair at home is certainly an option worth considering. As well as our extensive home hair dye guides and tutorials, we have plenty of products dedicated to helping you dye your own hair. 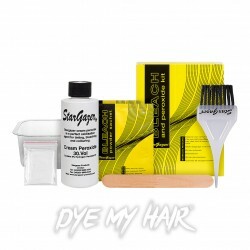 Whilst shopping for your new hair dye color, make sure to browse our range of hair dye tools and accessories. There are brushes, bowls and even vinyl gloves to give you everything you need to kick-start your home hair dye process. We know this can be a daunting idea but with a hair dye brush in hand, it couldn’t be easier. Simply section off your hair and start gently applying the hair dye from the roots. For information on preparing and using your hair dye, always read the instructions as every brand is different. You may also need to consider using hair bleach or toning your hair before adding color. This will help you achieve your desired shade. Hair toner will help neutralise any unwanted tones in your hair, for example, removing the green tones ready for a blonde hairstyle. Hair bleach kits are especially handy for people with naturally dark hair and are essential for helping light colors to shine brightly. When it comes to hair dye, we always only stock the very best in the business. We have an abundance of experience when it comes to selecting brands which provide a veritable plethora of bright hair dyes and coloring products. We are continually adding new hair dye brands to ensure that there are always new styles and shades to try out! The key for us when choosing our brands is both quality of colour and safety of dye. Our brands are all well-established colour aficionados, with a huge number of years of collective experience between them. We are pleased to stock all kinds of products from these well-respected hair color brands. 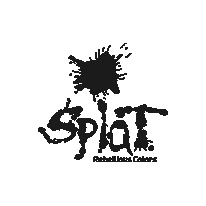 We have everything from Splat hair dye, PaintGlow’s temporary hair chalk and some of Manic Panic’s biggest color ranges; Amplified, High Voltage & Creamtones! Have you been put off dyeing your hair because of the ethical implications? Dye My Hair is proud to stock vegan-friendly hair dyes and brands that are not tested on animals. 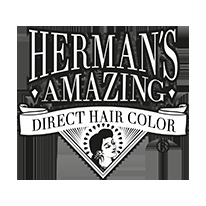 Herman’s Amazing Hair Colour range boasts both of these qualities as well as being ammonia free. This isn’t the only brand that carries the vegan hair dye flag, Manic Panic and La Riche Directions brands also include vegan-friendly products meaning you will have plenty of color choices and can achieve the same bright results. All of our brands’ bright hair colorants have been tried and tested out by a huge number of consumers who have enjoyed awesome color switch ups. Plenty of celebrities and stars have relied on these brands, so we firmly believe that our customers should too! 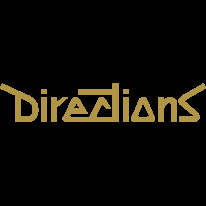 We’re not only all about the products. You’ll find a whole host of hair dye guides, blog posts and articles discussing everything and anything hair dye. Keeping ideas fresh is always important when it comes to hair dye which is why we strive to always bring you the latest trending styles and reveals on new celebrity looks. If Katy Perry, Lady Gaga or any other big name has had their hair dyed, then we want you to know about it! We’re proud to boast a wealth of hair dyeing expertise, tips and tricks to tap into. Browse our FAQs and tutorials on a huge range of topics from kicking-off that initial spark of hair color inspiration to dye hair and in-depth guides on how to apply hair color yourself. We love keeping up with the latest hair dye trends and styles and are never scared to experiment with some of our own! If you’re a regular dye-hard and just can’t get enough of celebrity styles, our hair dye blog is full of hair dye ideas just waiting for you to try them out. If you’re stuck wondering ‘what hair color suits me’, there will be a guide ready to answer that too! 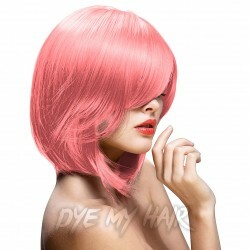 There are plenty more styles and colors available rather than just going for a full head of hair colour. Which hairstyle will you try first? However, we won’t stop there! The fun only just begins when you purchase your product. After providing you with the speedy and efficient delivery of your product, we won’t just leave it there. The next stage of hair dye aftercare is there to ensure that your colors last. We have plenty of color preserving products, shampoos and conditioners designed to keep hair bright and bouncy. A new hair colour can look doubly as good if hair stays healthy and full of volume. Regardless of whether you’re searching for hair dye for women or even hair dye for men, we’ll have you and your hair covered with a brand new color in no time. There’s simply no limit to what hair colors you can achieve. Get cool and creative with your hair color and you’re sure to see some awesome hair dye results. Here at Dye My Hair, we’re passionate about ensuring that you have a fun and funky hair color experience. With our determination and know-how when it comes to dye, we think you’ll be prepped and ready to go in no time. Go and grab yourself a new hair color; it could lead to a brand new you!